I will release pictures of ailing Buhari, Fayose threatens – Royal Times of Nigeria. 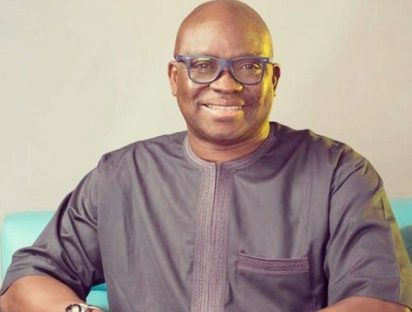 Ekiti State governor, Ayodele Fayose has threatened to release pictures to proof that President Muhammadu Buhari is very sick. Fayose said this on Wednesday while speaking to journalists after the arrival of Acting President Yemi Osinbajo from London. He said the claim by Osinbajo that Buhari was recuperating was a lie. “I’m not going to prove that to Nigerians. It is him (Osinbajo) who said he saw the President that needs to prove to Nigerians.